The definition of the adjective deluxe means of special elegance, sumptuousness, or fineness; high or highest in quality, luxury, etc. The origin of the word is from the French word de luxe, of luxury. There is no denying the appeal of what we call a deluxe outdoor living space. These outdoor living combination spaces marry the function and aesthetic elements of two or more outdoor structures allowing them to function as one large space. You may also see these versatile spaces referred to as outdoor rooms in the media. 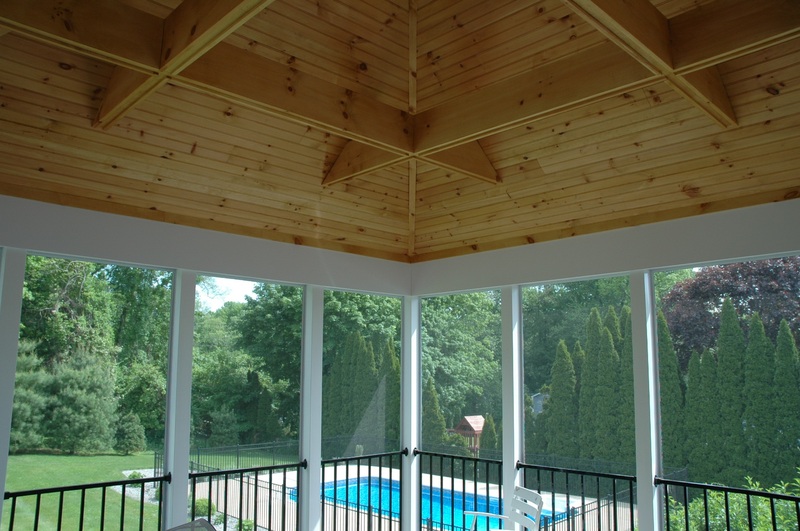 Archadeck of Central CT has watched the popularity of this type of outdoor living environment soar to new heights over the past few years. Homeowners have developed an increasing desire to transfer more of the assets and luxuries of interior living to the outdoors. Outdoor kitchen and custom pergola in Cheshire, CT.
To appreciate the concept of deluxe outdoor living, you only need to consider the parts of your home you use for relaxing, entertaining and other recreational activities: the living or family room, the dining room, the kitchen, a parlor, media room or playroom. Now, simply take those areas and think about moving their functions outside, and voilà… you have discovered the appeal of the deluxe outdoor living combination space! 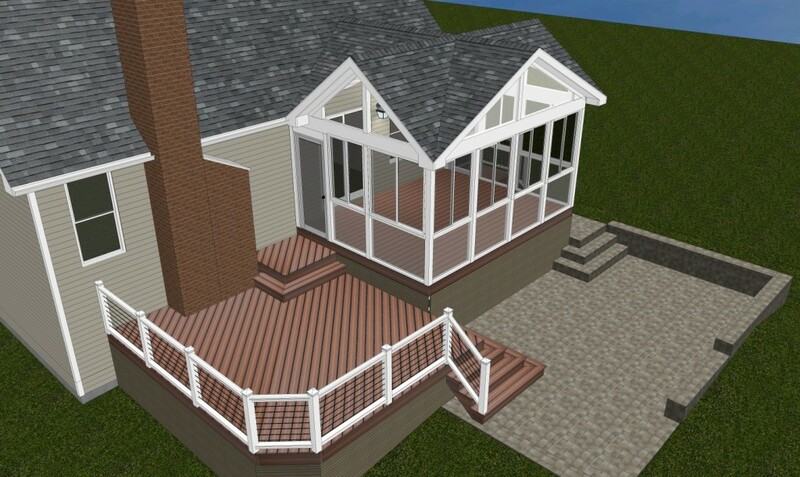 Deck and pergola combination space in Cheshire, CT. The only difficult part for homeowners considering a combo outdoor living space addition is deciding which structures to combine in order to gain the most benefits for their individual needs! Quality designed and built outdoor structures are a lot like potato chips… it’s hard to stop with just one! Rendering of proposed outdoor living combination in East Hampton,CT. Who isn’t interested in getting the most for the money? When it comes to an outdoor living space homeowners want to get the most benefit possible from their addition. It is only natural to yearn for the most aesthetically pleasing, enjoyment laden, functional square footage inclusive structure possible within your budget. Much like shopping for a new car, most of us are drawn to the one with all the bells and whistles… it is human nature. What if I told you that choosing to build a combination outdoor living space could provide you with all the “bells and whistles” in your backyard even on a budget? Sound too good to be true? Well, it isn’t. 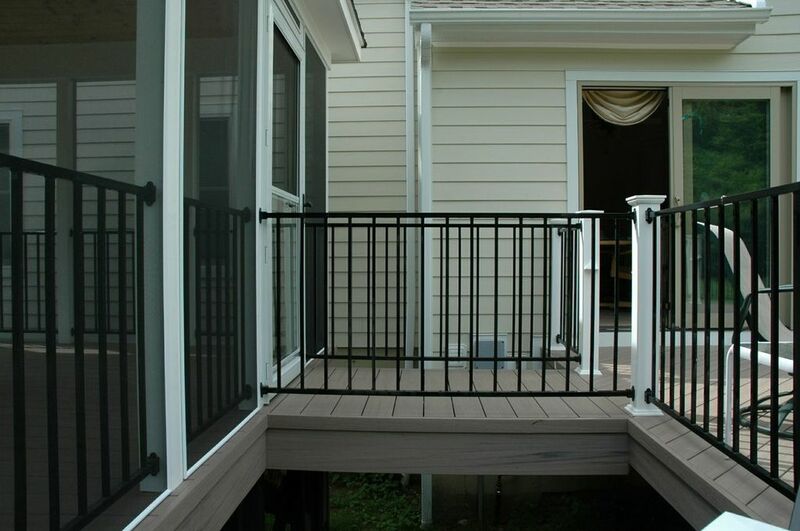 Screened porch and deck combo space in Hartford, CT. 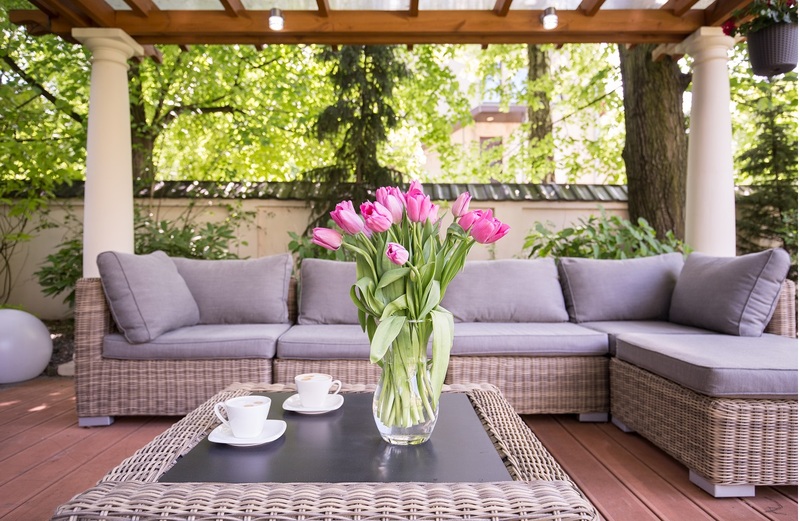 If an outdoor living space addition is part of your plans for the upcoming outdoor season ahead, consider the benefits of a combination space. Not only will it ensure more bang for your budget it will also mean less lifestyle interruption and damage to your turf and landscape. Stunning sunroom and deck combination in Devonwood, CT.
Archadeck of Central CT proudly services Avon, Cheshire, Farmington, Guildford, Madison and many more areas within Central CT.
Take a look at this amazing outdoor living combination space we designed and built in Orange, CT, even the homeowner’s dog is in love! Many homeowners feel the backyard of their dreams is far beyond what their lifestyle can accommodate. Archadeck of Central CT reminds you that nothing could be further from the truth. We offer the option of building your outdoor dream in phases as your timing and budget allow. We can assist you in coming up with a “master plan” of your dream backyard and build it over a period of months, or even years. We recently completed a two-phase project for homeowners in Orange, CT. Timing was the main obstacle we were able to overcome by building this project in two phases. The first phase of the project included a spacious, low maintenance deck. 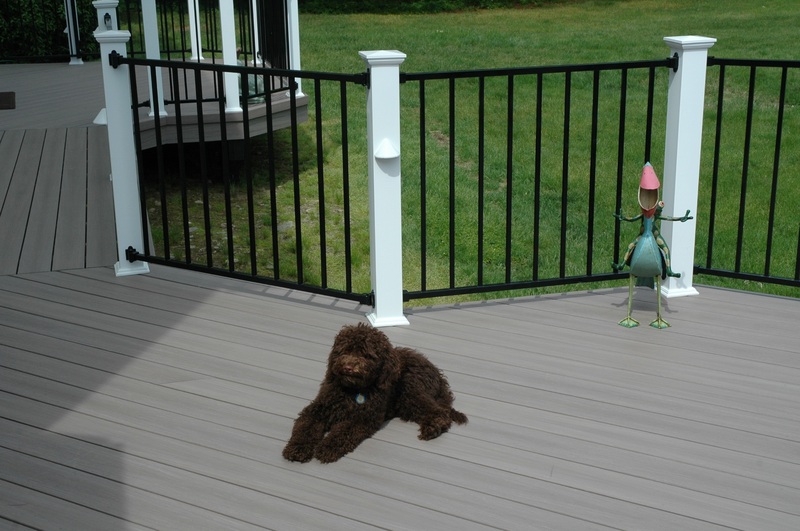 The decking we used for this project is AZEK synthetic in the Silver Oak color. 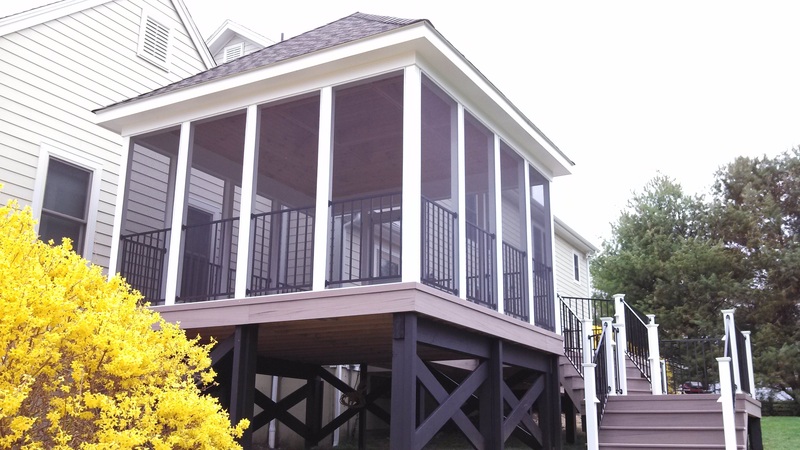 The second phase of the project consisted of constructing the freestanding pavilion that is accessible from the new deck via a bridge we created. The bridge physically separates the deck from the pavilion on purpose so the pavilion becomes a destination rather than a deck feature. 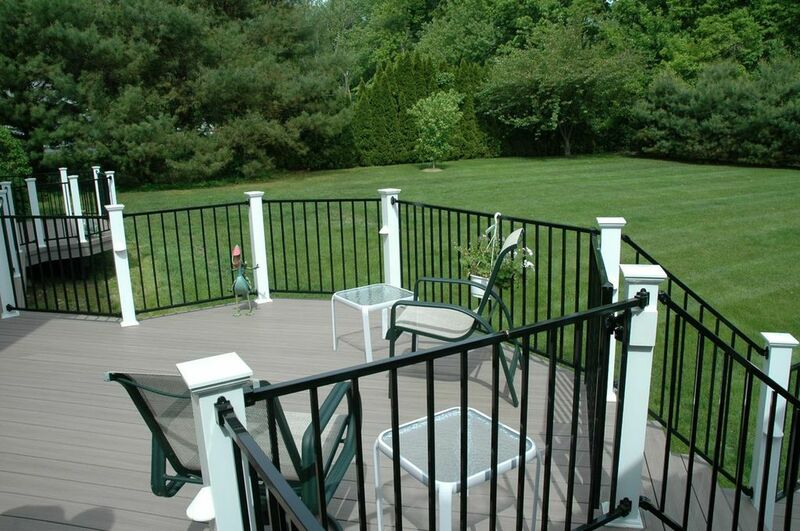 Whether it is a Central CT deck and patio combination, or a screened porch, deck and pergola combination with all the trimmings — or more, we take great pride in creating a multi-functional deluxe outdoor living area just for you. Take your outdoors to a new level by contacting us today at (203) 793-7142 . You can also email us at [email protected], or fill out the contact form on this page.